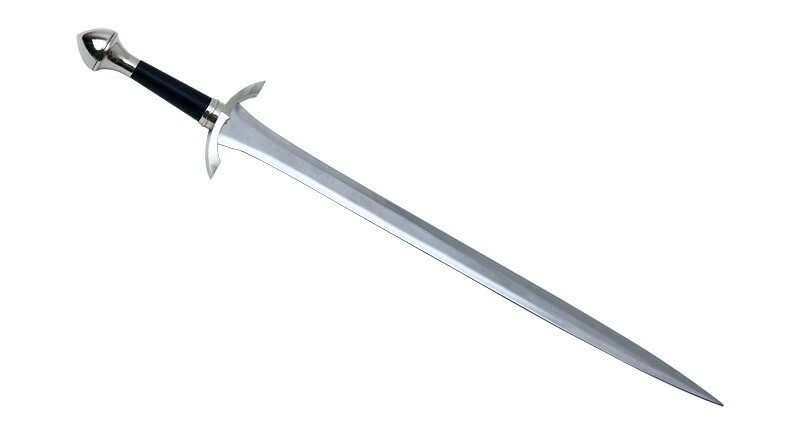 The blade of the sword is 440 Stainless Steel with an unsharpened edge and a sharp point. The handle is black painted metal. 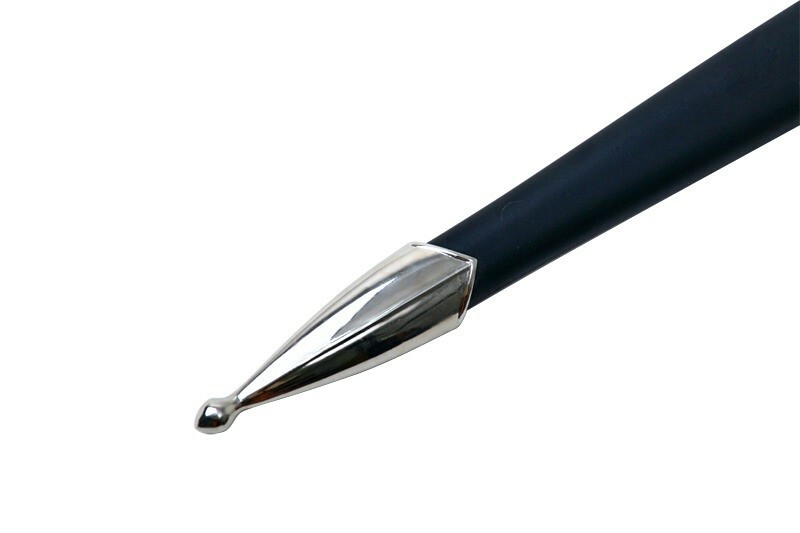 The Pommel is chrome plated steel. 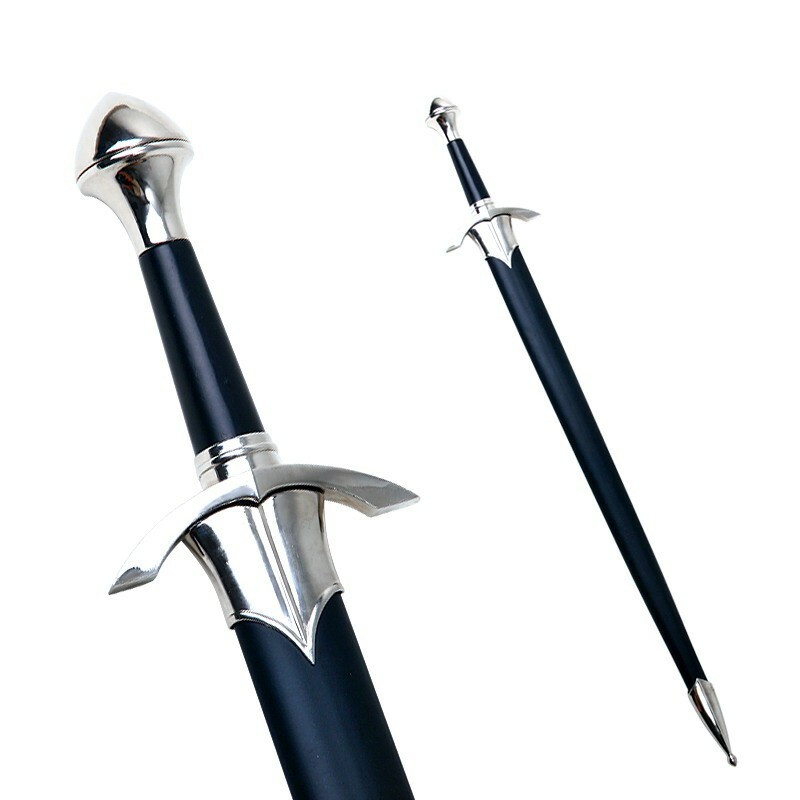 The scabbard is black painted wood with a steel chrome plated end cap and scabbard throat. The guard is solid steel with an image of a knight in the center and a cross on each end.